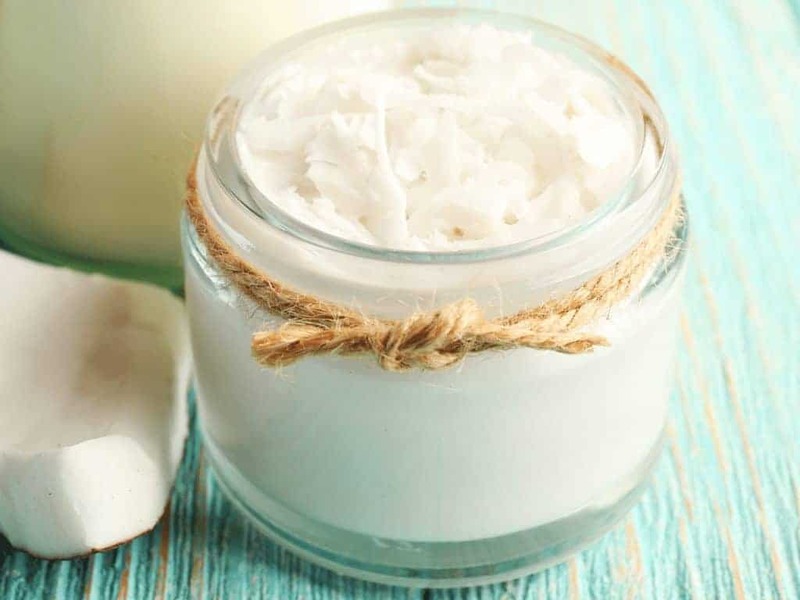 Once you make the switch to using raw organic coconut oil as a body butter, you won’t look back. So let’s answer the first question. 1. Spoon 1 cup of raw, organic coconut oil into a mason jar, or other heat safe bowl. 2. 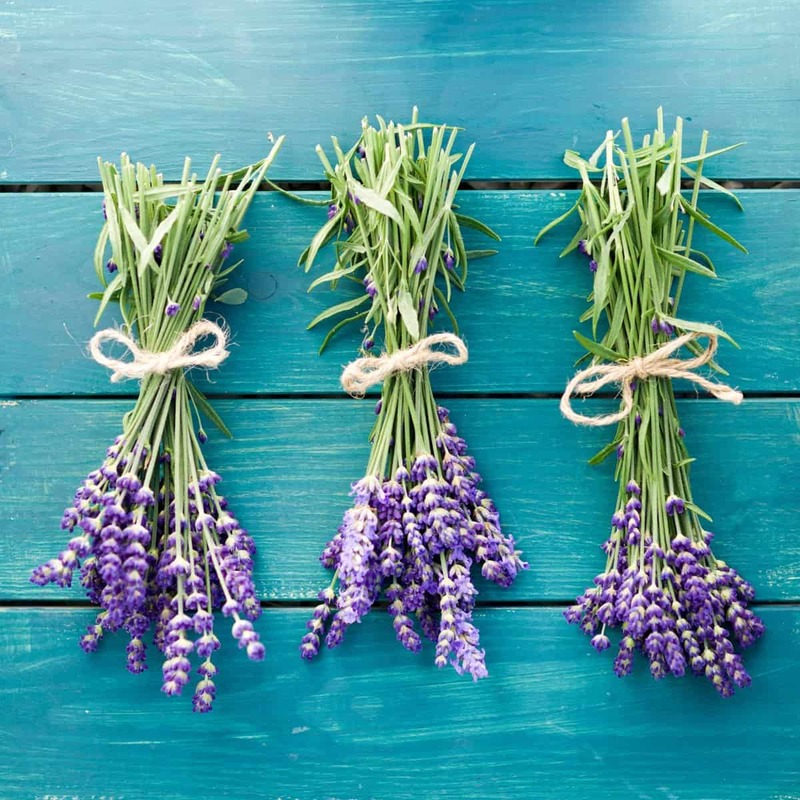 Crush your lavender slightly to allow the essential oils to be released, and add to your mason jar. 3. Add about an inch of water to a pot, and place your mason jar inside to create a double boiler. 4. Turn the heat on low – as low as possible. 5. Once the coconut oil is melted fully and it seems like the lavender has infused it, strain the mixture. 7. When firm, pull the mason jar from the fridge, and begin whipping the oil. 8. Transfer to a clean jar, and store! Add in lavender for a soothing touch, and you’ll be converted. This organic body butter has become a house staple because not only is it easy to make, but it requires only 2 raw ingredients: organic coconut oil and lavender. If you’re not sure where to buy it, you can get organic coconut oil at Thrive Market for a great price (where I buy it), or on Amazon. These 4 oz mason jars great for holding your finished body butter! 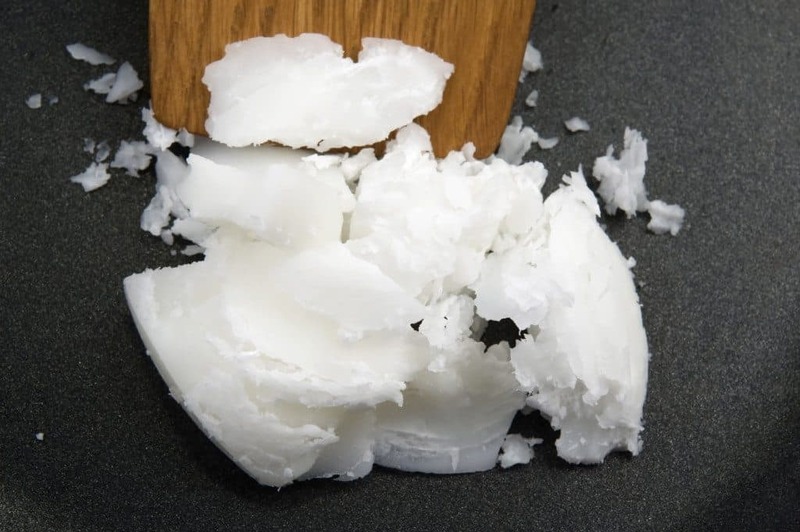 Does your coconut oil have to be raw and organic? Of course not. But as with anything, quality counts, and since you’ll be putting this on your body, you’ll want to get the best quality you can, and when you buy organic, you know your body won’t be exposed to harmful chemicals. Why make your own body butter with organic ingredients? Think about how much you spend on this or that moisturizer. What if you could make a product similar to an organic luxury balm for pennies, using raw materials you already have on hand? Let’s face it – the top dollar products out there only use raw and organic ingredients! Although it might be a bit more pricey than other oils, since raw coconut oil has so many uses around the house, I view it as a frugal item. Coconut oil also has a natural SPF of 4, so it offers a little protection against UV rays, too! As you melt the oil, it becomes infused with the essence of the lavender, which combines with the coconut scent to produce a product that smells like it just came out of the salon – seriously. The raw scent isn’t strong, but rather a subtle hint that you’ll enjoy. I like to apply my organic coconut oil lavender body butter before washing dishes – the oil acts as a barrier against the water, and I notice my hands don’t feel as dry afterwards. The recipe yields only a few ounces of organic coconut oil lavender body butter, but you won’t need much – a drop half the size of a dime is enough to coat your hands. Here’s how to make it! (Summary recipe at the end of this article). I use mason jars because they’re readily available in my house, and I know they’re heat safe. They also reduce splatter when you whip the body butter. 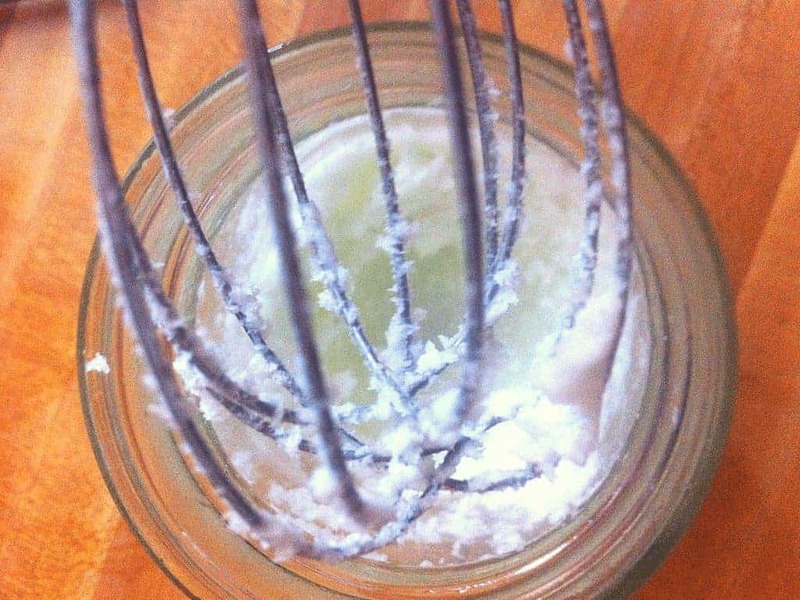 Just spoon your raw coconut oil into it – the oil will automatically settle at the bottom. Don’t skip this step – you don’t have to demolish the leaves, just nick them a little so the oils in the plant can release while they’re heated. If you don’t crush them a little, you’ll still get the essence infused with the raw coconut, but you won’t gain the entire raw healing properties of the plant, so be sure to do this step. 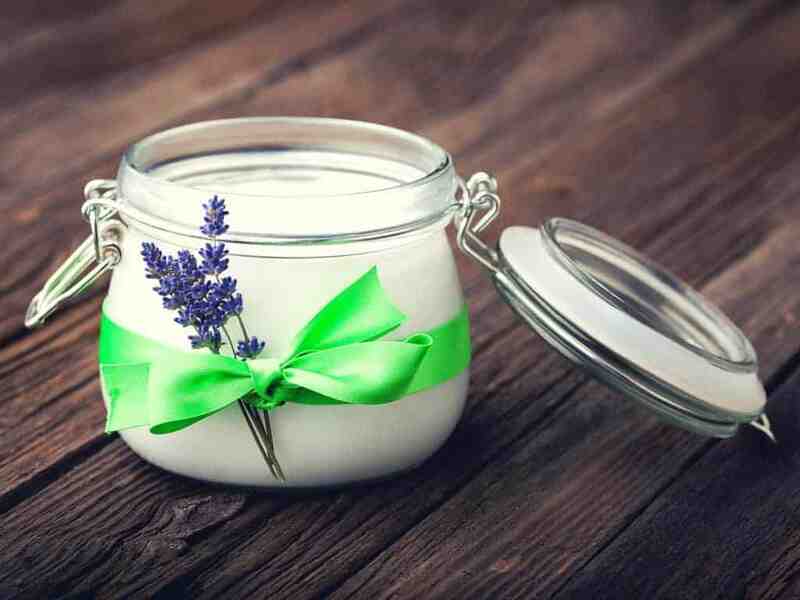 Lavender has properties to help soothe and relax you, and, like coconut oil, it is reputed to have antiseptic and anti-inflammatory properties. You can use any essential oils you want in this recipe. I prefer raw lavender because it has a lot of healing properties, and I grow a TON of it in my herb garden so I have it available. Just drop the leaves in the mason jar with the organic coconut after you’ve nicked them. Simply place your mason jar inside the water, being sure to prevent water from getting inside the jar. Don’t cover the jar, since you want any heat or steam that might have built up to escape. It also makes it easier to check if the herbs are doing their job, and to determine when the leaves are spent. You want to heat the organic coconut oil to melt it, but you don’t want to boil it – so be sure your oven stays on the lowest setting. You’ll allow the raw mixture to melt and fuse together over a 1-2 hour period – let your nose tell you when the raw leaves are spent. You’ll know because you’ll smell the released lavender oils. You’re looking to melt the coconut oil and infuse it with the essence of the herbs. That only happens when it melts over a longer period of time, and the leaves start to break down, combining the plant’s essential oils with the coconut oil. You’ll also be able to tell when the leaves are spent because they’ll look dark and withered (because their oils have been released). I used cups I usually poach eggs in because they fit nicely into the mouth of the mason jar and have holes on the botton, but any strainer will work. You can compost the raw leaves, or eat them yourself (chickens don’t really like lavender, and large quantities can be poisonous because of the oils, so keep them away from your flock). 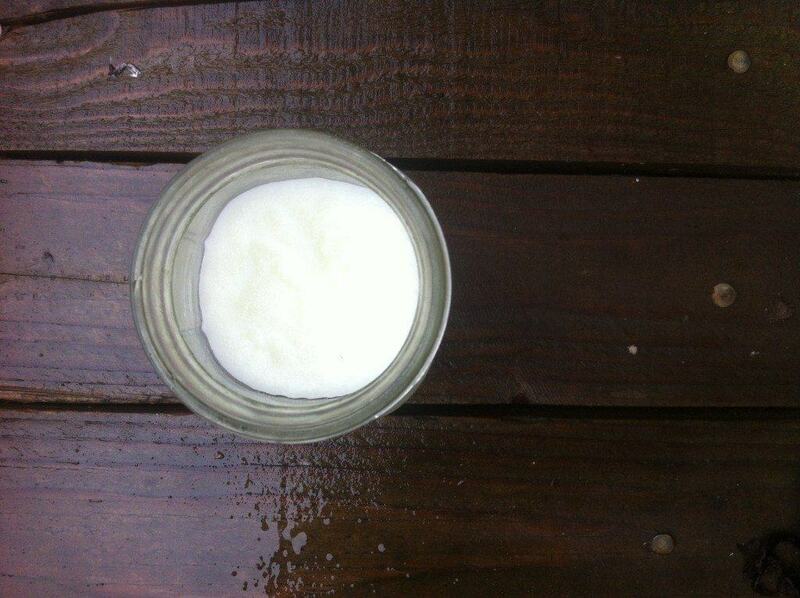 You want to cool the organic coconut oil mixture, but you don’t want it frozen rock solid. You’re looking for it to be firm to the touch. This step is important, however, because the oil needs to firm up in order to whip into a frothy butter. If it’s really firm when you take it out of the fridge, let it melt a little before whipping it. This step is where the magic happens – your raw coconut oil and lavender become a beauty product you’ll turn to daily. Using an electric mixer (you’ll have a hard time whipping this by hand), whip the butter until it’s creamy. It might take a while, and you’ll have to guide the mixer to make sure you’re getting all the solid oil. When I make this I whip as much as I can, then remove the soft cream, and continue to whip what’s left. You might find that at first, it’s difficult to get the whipping action started, but as friction takes over and begins to soften the coconut oil, it will get easier. 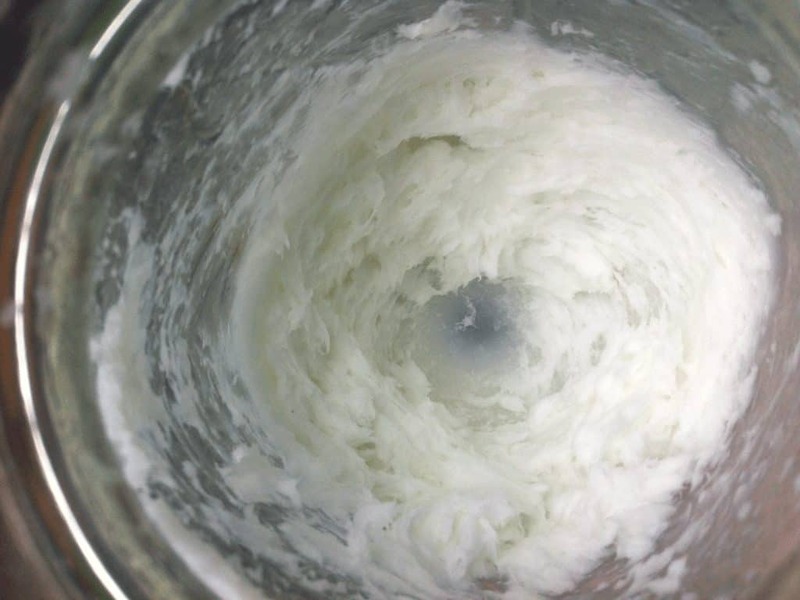 Once your raw coconut oil has transformed into a moisturizer, you can either leave it in the jar you created it in, or transfer to clean jar. Since I tend to make my organic body butters in stages, I transfer it to a clean jar, and leave it covered. If lavender isn’t your thing, you can try a different essential oil, but the stages of the recipe remains the same. 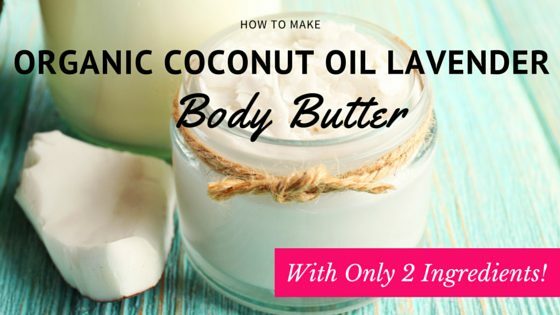 I hope you enjoy this body butter made with raw organic coconut oil!